Web application attacks are one of the most serious risks in today’s threat landscape. These are attacks on Websites and external Web portals that give criminals access to your eCommerce or portal data by attacking from the internet. They are prevalent—seven out of ten environments will be attacked an average of 40 times during a year—and they’re dangerous, implicated in many high-profile data breaches. From SQL injection attempts to cross-site scripting exploits, protection is essential. A managed WAF or managed Web application firewall can provide an expertly managed solution to protect your externally facing servers, eCommerce or customer portals. A web application firewall (WAFs) is an ideal technology for defense—able to understand incoming traffic and intercept attacks, it is a practical approach to guarding your applications and data. However, WAFs also require expert tuning and management to be effective; otherwise, they impact site availability by blocking legitimate traffic or are tuned down to a level where they are no longer effective. These solutions often require managed WAF experts to properly manage your security. eSecurity Solutions Managed Web Application Security service deploys on premise, in hosted environments or in the cloud, without complex integration. Now you can protect your web portal applications and eCommerce sites with proven technology and expert staff without the difficulties usually experienced with a web application firewall (WAF). Web Security Manager protects your websites and business-critical applications from web application attacks. Fully managed Security-as-a-Service delivery means fast, simple implementation, no capital expenses, predictable monthly fees—no maintenance. eSecurity Solutions’ services provide 24×7 monitoring and incident escalation by our certified security analysts, along with ongoing tuning and management. Web Security Manager provides immediate PCI DSS compliance, along with support for other compliance mandates. Intelligent caching provides a superior site visitor experience. Implement on premise and in hosted and cloud environments with our non-invasive, no-downtime deployment mode. We provide scalable solutions that fit small, medium, and enterprise businesses. Additionally, we offer flexible pricing models that include annual, quarterly, and monthly payment options. Contact us to learn more. 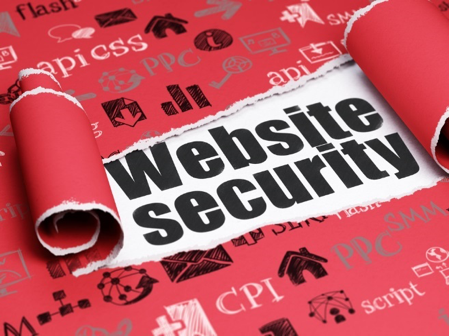 Need to Protect Your Website or Web Portal?